Set within a historic building on the Magnificent Mile, The Gwen Chicago is currently undergoing an extensive renovation. Scheduled to be completed in April 2017, the property's guest rooms will be completely redesigned with a 1930s-inspired style. The hotel offers a rooftop terrace, Circa Restaurant and Lounge, along with Prohibition Porter Mixology Services, and in-room spa treatments. Read more about the renovation of the property (below the photo) from our sister publication, Hotel Management, by Mick Tan. The Gwen, a Luxury Collection Hotel in Chicago, has started its guestroom renovation. The inspiration for the new design comes from the hotel’s namesake, Chicago sculptor Gwen Lux, as well as 1930s-era glamor. Housed in the former McGraw-Hill building, The Gwen is in downtown Chicago, overlooking Michigan Avenue on Rush Street. 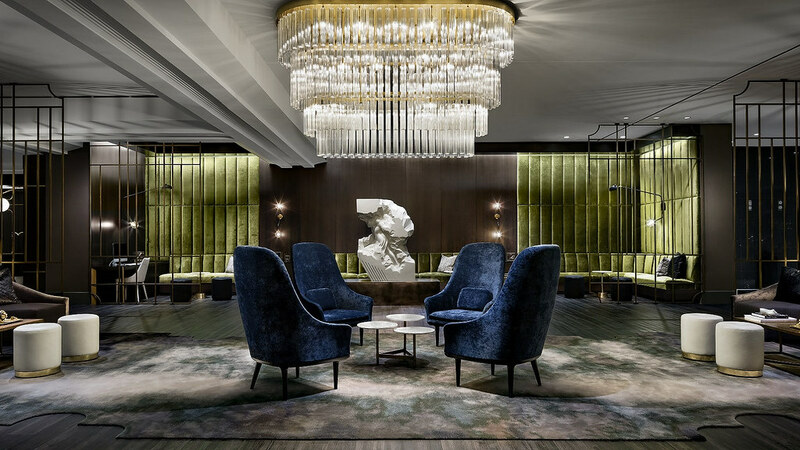 The newest member of Marriott’s The Luxury Collection, The Gwen opened in September 2015 and unveiled its newly remodeled lobby, rooftop terrace, lounge and restaurant in May 2016. The guestroom renovation is scheduled to conclude in April, and each of the hotel’s 311 rooms and suites will have the new layout and designs. The Gwen’s new guestrooms were conceptualized and designed by Simeone Deary Design Group. Upon completion of the renovation, guestrooms at The Gwen will have Art Deco touches from the 1930s as well as jewel-toned accent elements and new upholstery. Chicago-born Gwen Lux designed the bas-relief sculptures depicting the zodiac that are featured on the exterior of the building. These now serve as inspiration for each room’s iteration of her works above the bed. Other elements in the rooms will include backlit mirrors, artistic sketching wallpaper, peach leather pops of color, mossy green velvets, marble and brass pieces, and weathered river tones. Chicago-based Simeone Deary Design Group was established in 2002 by Lisa Simeone and Gina Deary.